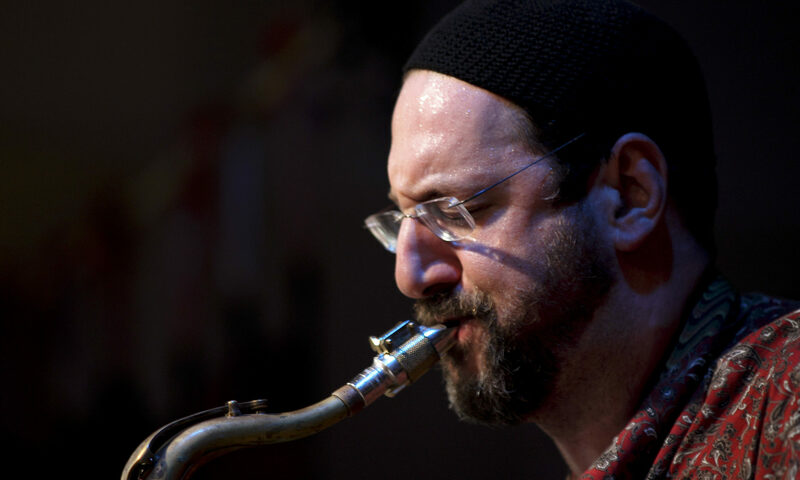 When five Downtown New York improvisers with deep roots in the jazz tradition embrace the Hasidic musical legacy and the scintillating rhythms of the holy land, a new voice emerges. Blending together an intense mixture of ethnic and cosmopolitan sounds, Hasidic New Wave fuses spiritual songs from Hasidic dynasties to funk and jazz, Arabic dances with avant-garde rock, and juxtaposes horas and freylekhs with sheer improvisation. Hasidic New Wave’s alternatingly ecstatic and meditative performances, imbued (as is consistent with Hasidic tradition) with joy and passion, has led critics to liken the band to Sun Ra meets Jimi Hendrix at a Jewish wedding and exclaim HNW marries Hasidic music to avant-jazz, spinning traditional Jewish celebratory songs into extended Jazz improvisations that incorporate ferocious horn blowing and raucous electric guitar solos.